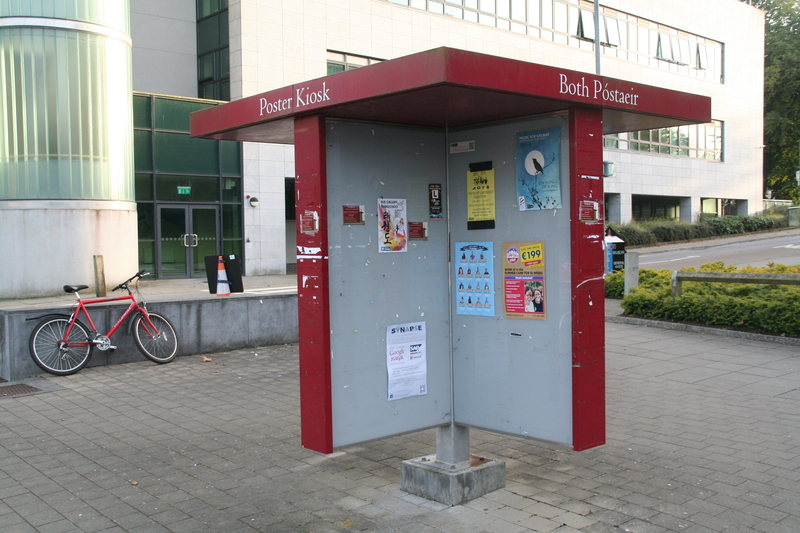 Similar to the poster booths at NUIG, several poster booths would be installed throughout the city. Only non-commercial community event posters would be permitted to be erected on these booths. A competition could be held for the final design of the booths.